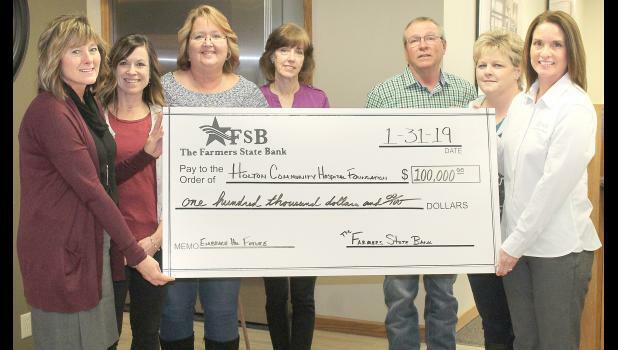 • The Farmers State Bank in Holton has made a significant donation to Holton Community Hospital’s expansion project. Find out how much and how you can make a donation. • A record number of season passes to Banner Creek Reservoir were sold during the 2018 season. Learn how many as part of the reservoir director’s recent report to the Jackson County Commission. • Replacing furnaces in the Jackson Heights Elementary School gym was a topic for a special USD 335 Board of Education meeting last week. We’ll tell you why the furnaces are in need of replacement and what action was taken by the board. • Holton Community Theatre is getting ready for a Feb. 16 production of the murder mystery spoof “Trouble At The Tropicabana.” Learn more about the comedy as well as how you can be in attendance. For more information on these and other stories, log in to your holtonrecorder.net account.